Grand Hyatt Taipei, located right next to Taipei 101, features some of the best restaurants in Taipei with show kitchen style Café offering international cuisine, exquisite Japanese cuisine featured at Irodori while Bel Air Bar and Grill, recommended by 2018 Michelin Guide, is renowned for its classic grilled items. Pearl Liang presents traditional Cantonese cuisine and Ziga Zaga offers daily live band performances from international singers. Cheers is the perfect place for a quick meal or cocktails whilst Cha Lounge offers guests an elegant afternoon tea with live piano performance and the Lobby Lounge offering simple light snacks accompanied with coffee and tea. Brand new Yun Jin features an authentic Chinese culinary journey. 2019 TTE special offers available online now! 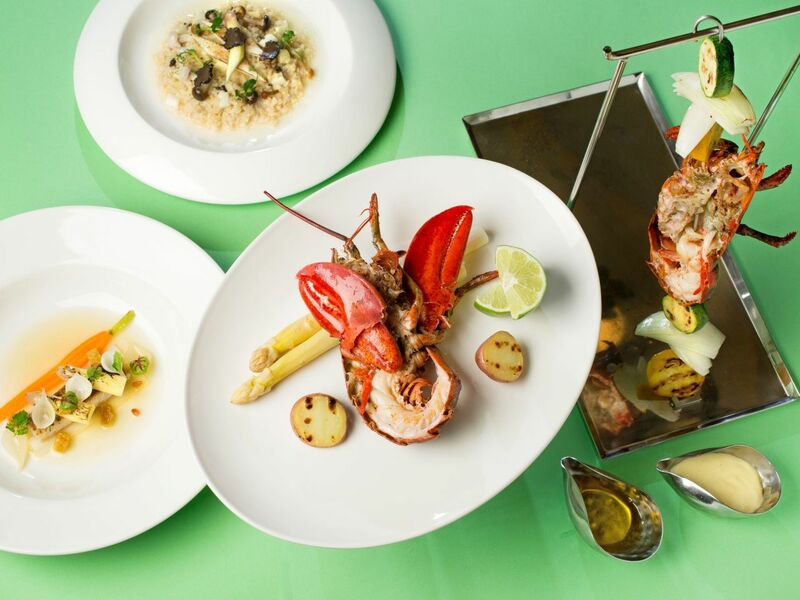 Fine dining experience with continental European cuisine from quality steaks to fresh seafood. 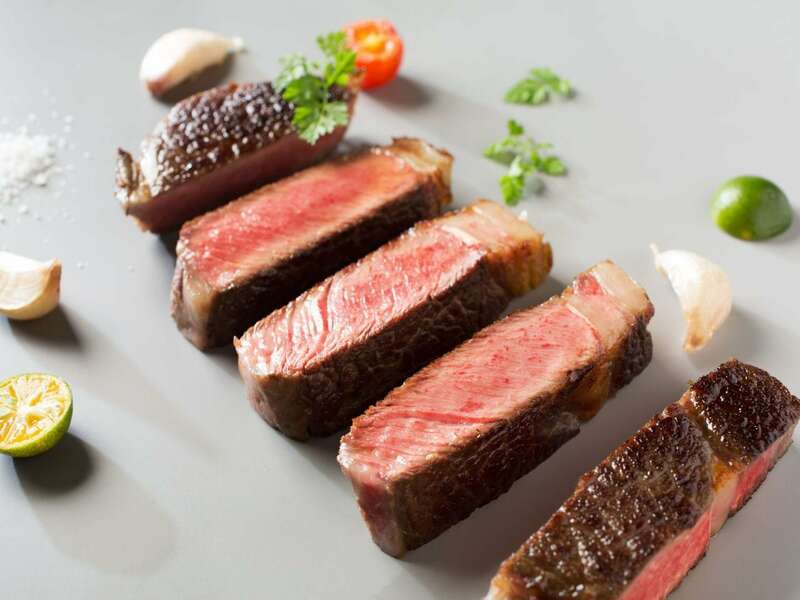 Bel Air Bar and Grill, recommended by Michelin Guide Taipei 2018, is renowned for its fine dining and outstanding cuisines for decades with excellent steaks, fresh seafood and exquisite continental cuisines. An elegant and classic setting featuring a marble fountain in the middle bathed in natural light, Bel Air delivers an intimate and unique dining experience for both business and leisure guests. Savor the delicacy of premium white asparagus from France with an exquisite six-course set menu from now until May 5. Enjoy a 15% discount on dining of white asparagus set with your American Express Platinum Card or American Express Centurion Card. Experience the taste of China with the best Chinese delicacies throughout China and Taiwan. Embark upon an unforgettable culinary journey through China with Yun Jin. Featuring a wide range of amazing delicacies from Beijing, Sichuan, Hunan, Shanghai, Hangzhou and Taiwan with an innovative twist, Yun Jin offers an absolutely divine gastronomic indulgence in a luxurious style. Discover the taste of China with the masterpiece of oriental fine dining. 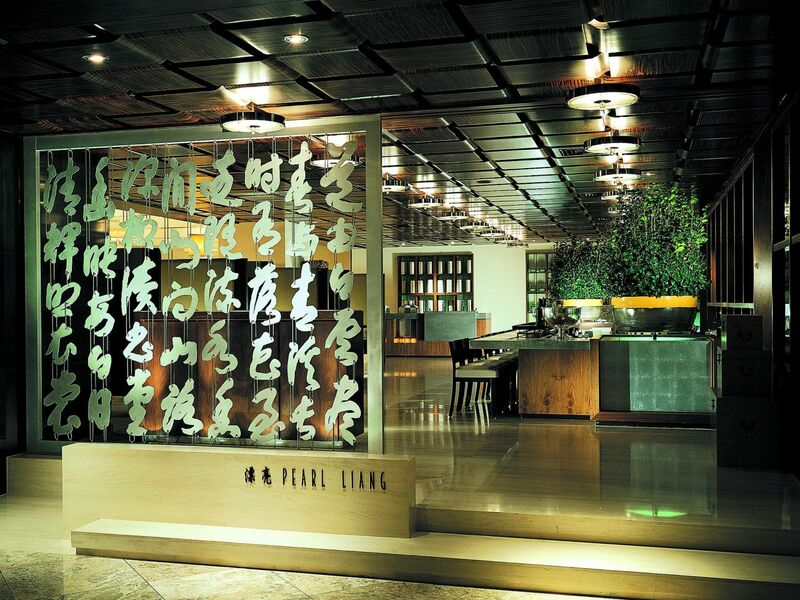 Enjoy authentic Cantonese delicacies, fresh seafood and dim sum in an elegant ambience. 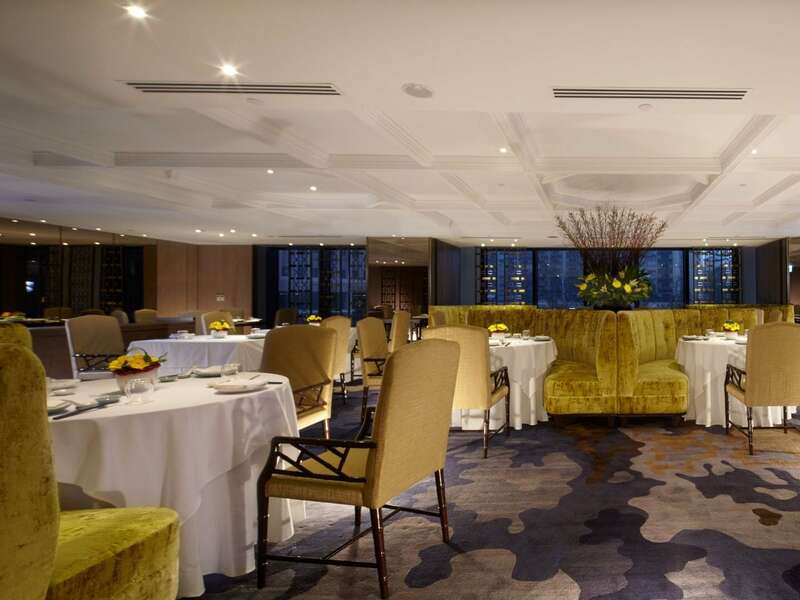 Understated modern décor provides an elegant ambience where creative interpretations of seafood in authentic Cantonese style and traditional dim sum meet a superb wine cellar. The combination of the freshest ingredients with meticulous preparation and presentation makes Pearl Liang a distinctive gourmet experience. An elegant afternoon tea of fine delicacies, pastries, and beverages. Located on the second floor overlooking the magnificent atrium lobby, Cha Lounge, a European-style classic lounge, serves an elegant afternoon tea of fine delicacies, pastries, and an array of teas, coffees, and specialty beverages with live piano performance. A walk in the Cloud! Relax and enjoy a nice cup of tea along with a delightful afternoon tea featuring the smooth, airy, and fluffy soufflé at Cha Lounge. Available now! Fancy some meat? Cha Lounge offers meat lovers an ultimate "carving feast" every Friday, Saturday and Sunday evening, including unlimited servings of juicy roast chicken, roast beef, pork knuckles and more. 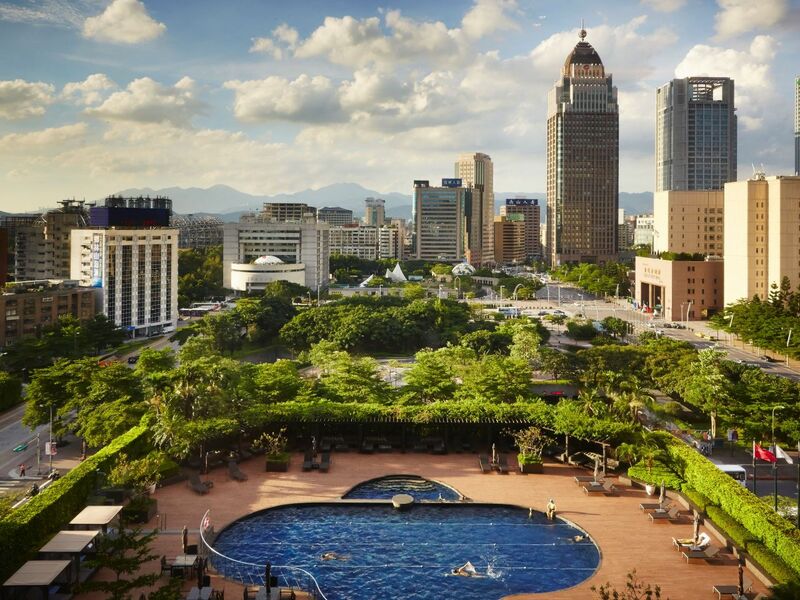 Enjoy a fun and vibrant Taipei nightlife with live music and Italian cuisines. Ziga Zaga, an authentic Italian restaurant and an exciting nightclub combined into one unforgettable adventure. The modern Italian inspired menu offers a mixture of creative and innovative Italian favorites along with a wide selection of unique beverages and signature drinks in a fun and vibrant ambience. The restaurant turns into a trendy night club after 9:30PM with live band performances featuring classic hits & current chart toppers. 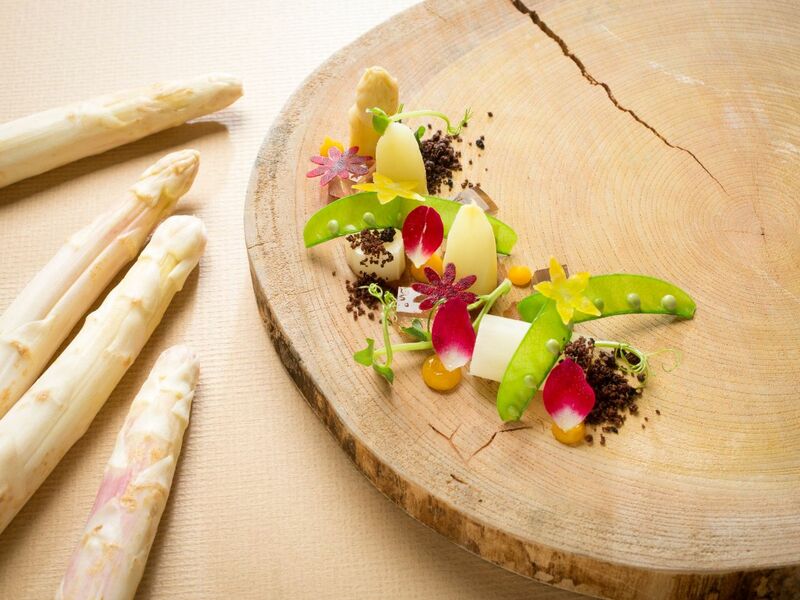 From April 18 to 28, enjoy the splendid taste of in-season white asparagus at Ziga Zaga. Authentic Japanese cuisine with an exquisite buffet replete with rare delicacies. Irodori reflects the genius of Japanese cuisine with an exquisite buffet replete with rare delicacies and a wide selection of sake. 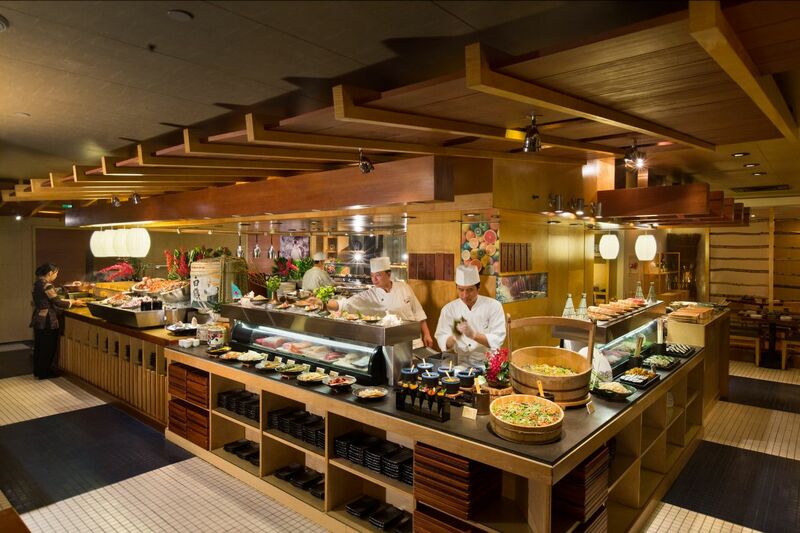 With the bustling and modern Japanese live kitchen setting, Irodor’s extensive buffet selection includes sushi, sashimi, tempura, fresh seafood, grilled items, ramen, and many more Japanese favorites to tempt the adventurous. Contemporary show kitchen style buffet with a wide variety of international cuisine. 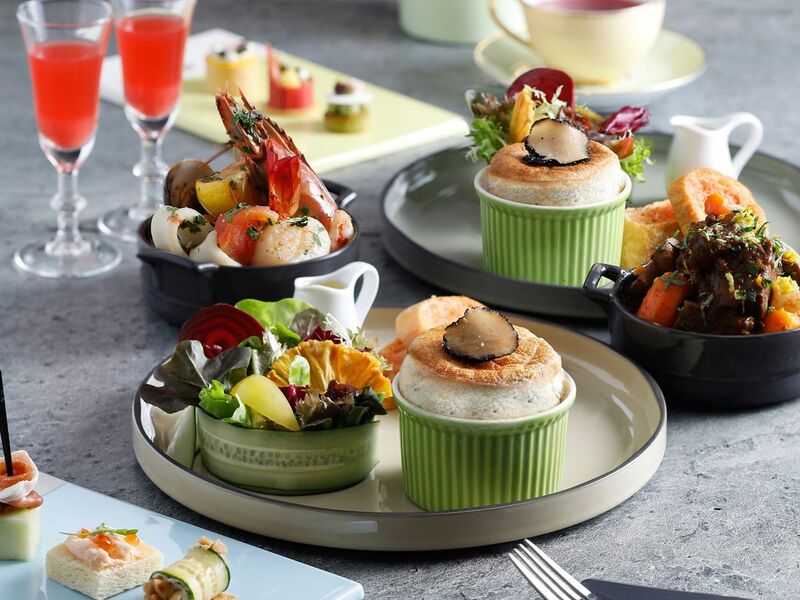 Voted as one of the most popular restaurants in Taipei in numerous polls and reviews, is a contemporary show kitchen style buffet with a wide variety of international cuisine. 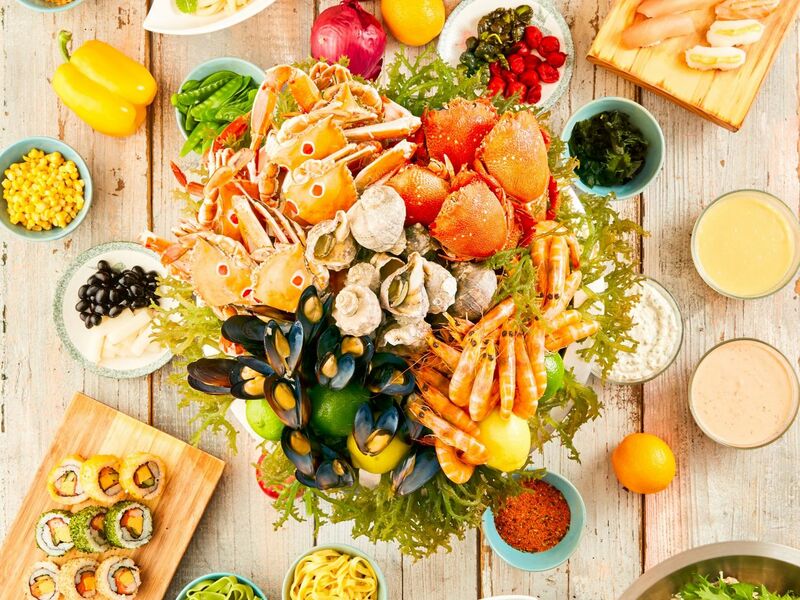 Featuring ten recognizable food stations including refreshing salads and appetizers, Asian cuisine, western delicacies, Indian fare, Japanese dishes, fresh seafood, homemade bakeries, cheese, desserts, fresh fruit and beverages, Cafe offer its guests “wow” experiences that are both traditional and innovative. Explore the best of Thai hassle-free and satisfy your cravings for Thai food at Café from March 28 to April 14! Headlined by chefs from Grand Hyatt Erawan Bangkok, the two-week promotion will feature some of the most popular Thai cuisines and much more! Book now for a truly unforgettable Thai dining experience. Enjoy a 30% off discount every Friday and Saturday after 8:30 PM at Cafe. 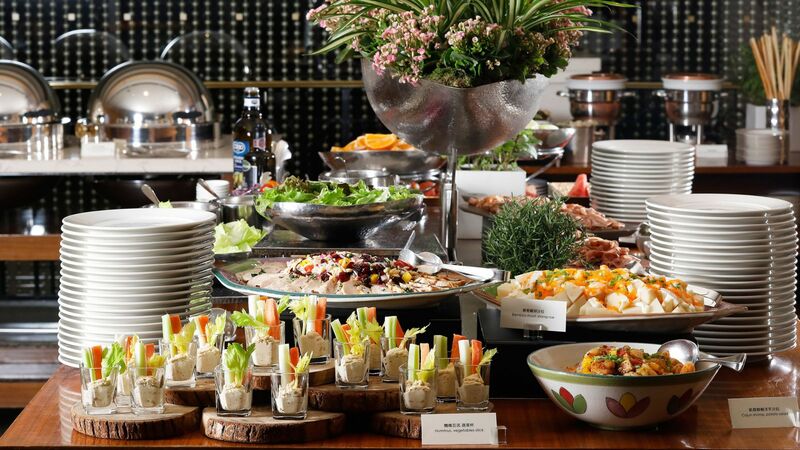 There's no better way to spend your weekend evening with an amazingly delicious buffet spread! Ideal for a power lunch, a light snack, or a relaxing evening accompanied by quality drinks. Cheers is ideal for a simple yet flavor-packed meal with a spacious outdoor terrace seating. It is perfect for a delicious light meal featuring amazing delights from America, Italy, China, Taiwan and Southeast Asia countries. 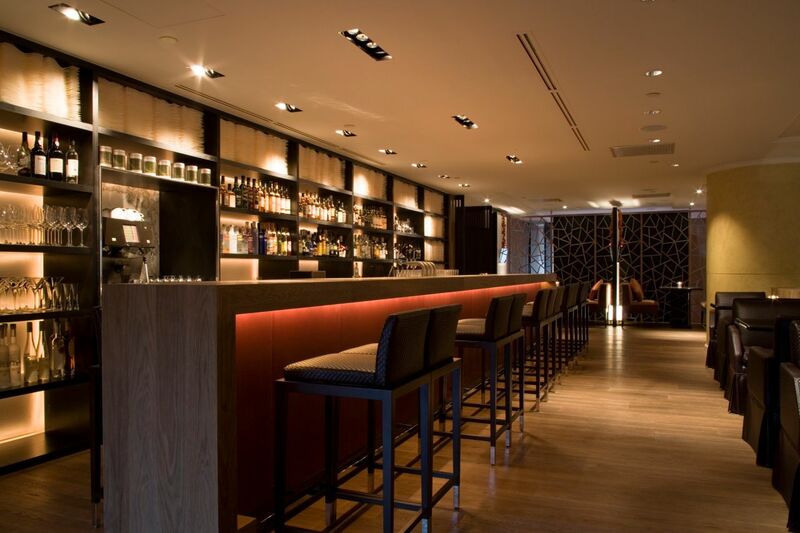 Alternatively, guest can unwind and relax at the bar accompanied by quality drinks and daily contemporary live tune. Freshly made breads, cakes, sandwiches, chocolate, and coffee. 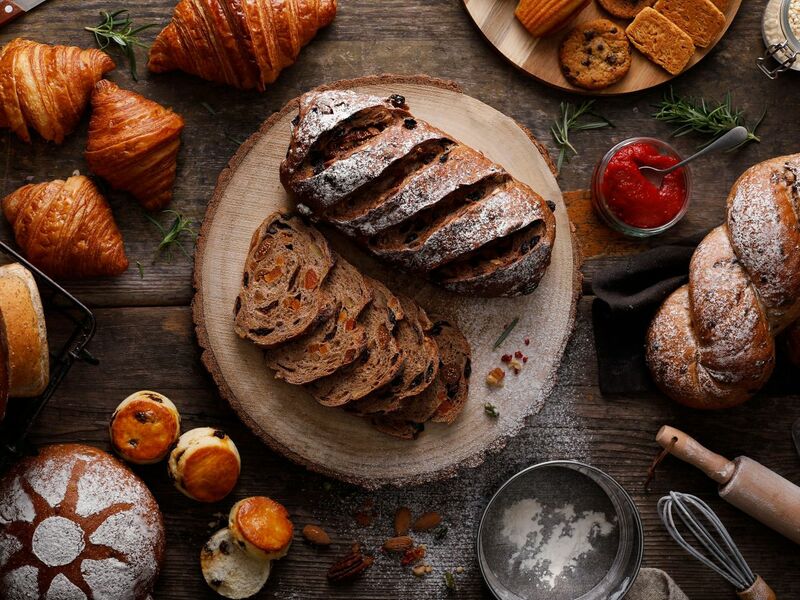 Located at the lobby floor, Baguette provides guests with a wide selection of homemade breads, exquisite cakes, sandwiches, freshly brewed coffee and beverages, handmade chocolates, as well as elegant gift sets that offers guest the chance to savor the freshest bakery delights. 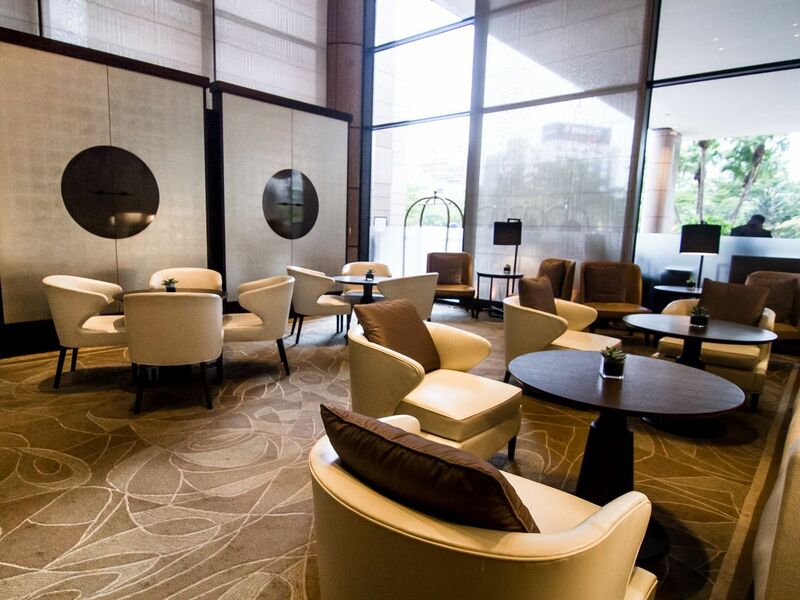 Situated in the atrium lobby, the Lobby Lounge is the perfect setting for business or social gatherings with its modern design and cozy atmosphere. It offers a relaxing space for business or leisure with an enjoyable selection light snacks and desserts. An enjoyable relaxing time in the sun or under the moon. The outdoor heated swimming pool is located on the 5th floor of the hotel. The Pool Bar provides various refreshing snacks and a variety of chilled beverages for your refreshment. Whether in the sun or under the moon, this outdoor poolside bar is the ideal venue for leisure and relaxation. * The opening of the pool bar is seasonal and subject to change dependant on weather. 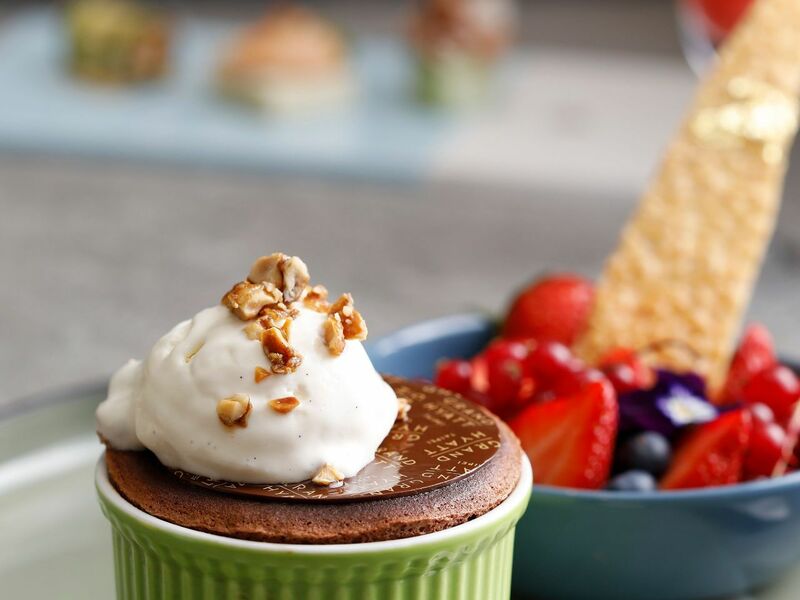 Welcome to Club at the Hyatt, Grand Hyatt Taipei's annual dining membership programme offering you some of the very best culinary experiences in town. Whether it be a family dining occasion, an intimate evening with a loved one, or a business luncheon, your membership will offer you the best dining and entertaining venues at which to enjoy the best food and beverage privileges! Join us as a member to enjoy exclusice Club at the Hyatt membership benefits, promotions and special offers.